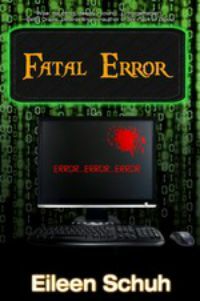 In FATAL ERROR, the second novel in Eileen Schuh's BackTracker series, the characters struggle with the legal, social, and emotional aftermath of the police operation that brought down The Traz, one of North America's most notorious biker gangs. Nothing can be forgotten and much must be forgiven before any of them will be free to heal. It won't be easy...they may all be heading down a path of destruction that will leave no survivors.